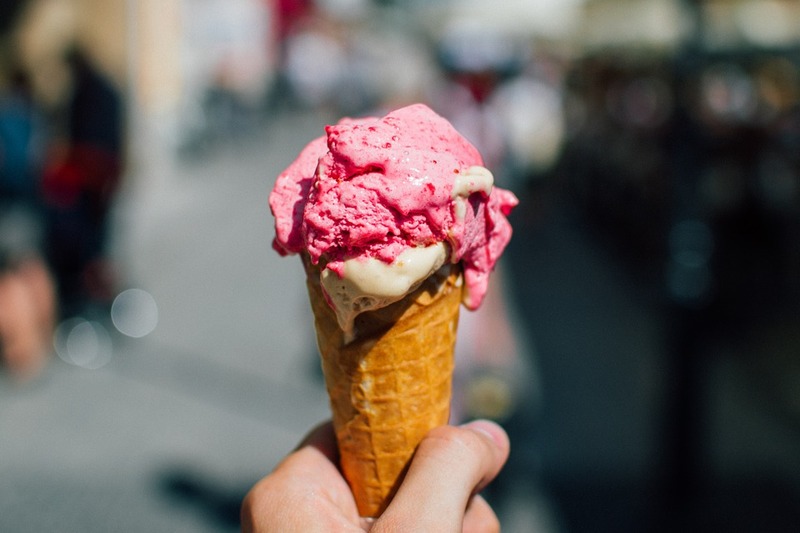 Born in Florence, the Gelato Festival is an international roadshow in which the best gelato makers across the world compete against one another with a one-time flavour they have created just for the occasion. Having taken over Miami three weeks ago, the festival travelled to Florence’s Piazzale Michelangelo at the weekend for two days of tastings, demonstrations and kids’ activities. And a little healthy competition never goes astray: sixteen of Italy’s top artisanal gelato chefs brought their specially-made ice cream to the event. Festivalgoers got the chance to taste each flavour and vote for their favourite, while the inventor of the winning gelato continues the journey towards the final of the Gelato Festival World Masters 2021. The Gelato Festival World Masters is the most authoritative individual gelato tournament in the world. It is a journey with hundreds of competitions over four years on five continents, with technical and popular juries selecting the 36 finalists from all over the world who will compete in 2021 to win the title of world champion. Visitors to Florence’s festival could also discover the secrets to the world’s best ice cream between tastings, with themed initiatives and educational workshops set up inside three large food trucks, including the Buontalenti, which is the largest mobile ice cream production laboratory in the world. The festival will now move on to Rome, Turin and Milan, before heading overseas again. Visit the website to find a festival near you. Caramello with salt from Cervia and the sweet crunchiness of Piedmontese hazelnuts, combined with William pears artisan jam. Gelato with Bronte pistachios and mandarin. Fior di latte with honey, pine nuts and walnuts. A simple taste with ancient flavours. A sorbet made with mandarins and oranges from the Gargano, and infused with mint. Dark chocolate blend accompanied by rum to the consumer’s taste. Toasted almonds with orange and dark chocolate. Inspired by the Neapolitan pastiera, which contains ricotta, candied fruit, orange flowers, cinnamon and eggs. At -14˚C, this is a truly unique take on the specialty. Intense cocoa sorbet infused with orange zest and jasmine. A fusion of two places: Madagascar (red fruits) and Ivory Coast (wood and spices). The combination of these flavours with transport you to another world. A mix of 100% cocoa, apricot swirl, coconut, hazelnut, bread crust and spices. Fior di panna with ancient rose syrup (sourced locally), biscuits and white chocolate. Sheep ricotta ice cream with figs, local walnuts and mandarin. A delicious and authentic Italian gelato. A dense and fragrant cream with the surprise crunchy element of amaretti. Gelato with ricotta from the Iblei Mountains with notes of saffron, rosemary, orange zest and Bronte pistachios.